What is the real sound of dance? Working with Henriette Slorer, Bodil Lunde Rortveit and dancers from the Norwegian National Ballett, created a performance where all sounds in the musical arrangment were samples from the dancers. 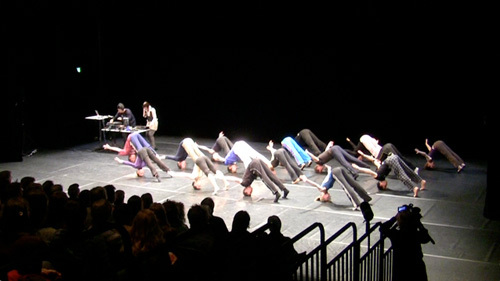 The performance was developed during an intensive two-week production phase at Operaen. The project is documented with a making-of report explaining how the sounds was made and used, and several production reports in my blog.